Home/In the News, Pic of the Week/Just How Sensitive is the Oklahoma Economy to the Energy Sector? 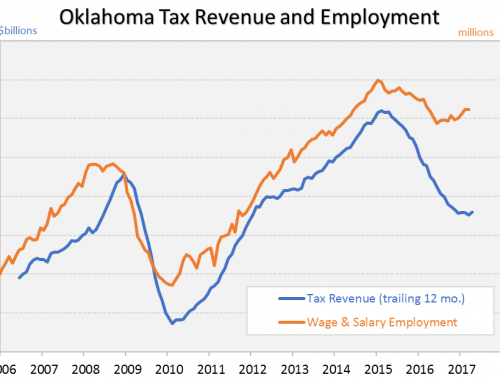 The short answer is that the Oklahoma economy remains VERY sensitive to oil and gas activity. 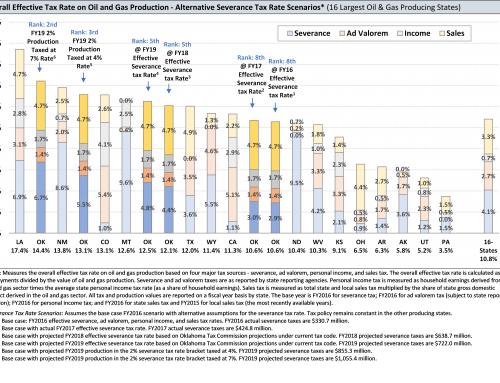 A useful way to illustrate the link is to quantify the contribution of the oil and gas sector to overall state real GDP growth over time. In other words, what share of total state economic growth is traced directly to the oil and gas industry? The graph below summarizes industry-level calculations of the contribution of each major NAICS sector to real state GDP growth from 2005Q1 through 2017Q4. This period stretches back to the early stages of the rebound in the oil and gas industry (generally since 2003) and captures the two recent major energy price cycles. 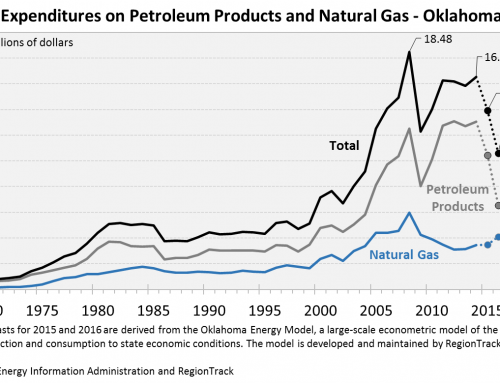 The results will be a bit surprising to many but are consistent with the influence of oil and gas activity in a major energy-producing state like Oklahoma. 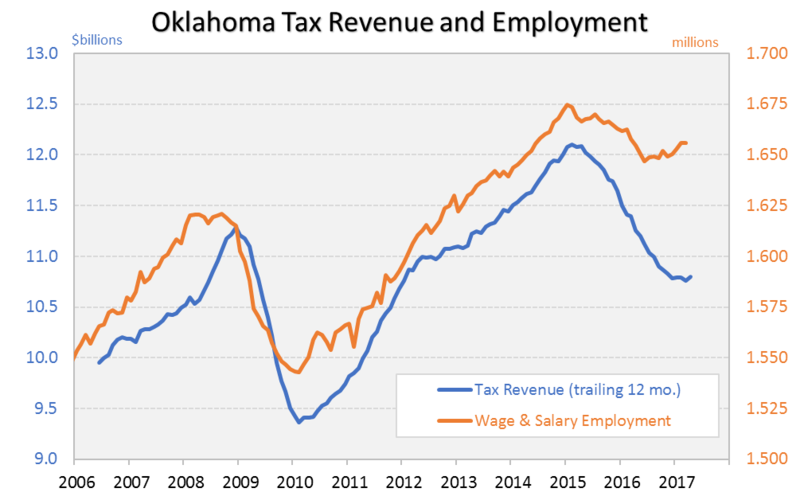 Across the full period, Oklahoma averaged real GDP growth of 2.13% annually, with the mining sector* contributing fully one-third (0.73% annually) of all real GDP growth in the state. 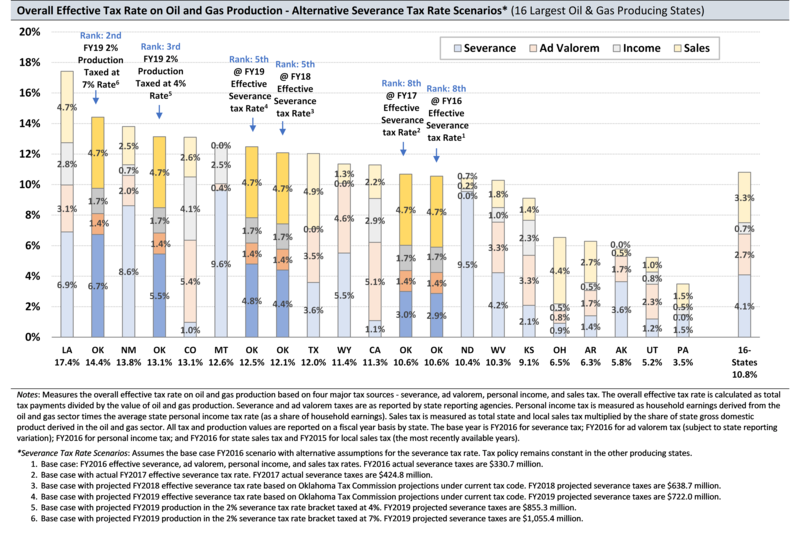 It bears repeating that activity in the oil and gas industry underlies approximately one-third of the total increase in real economic output in the state in the 2005 to 2017 period. 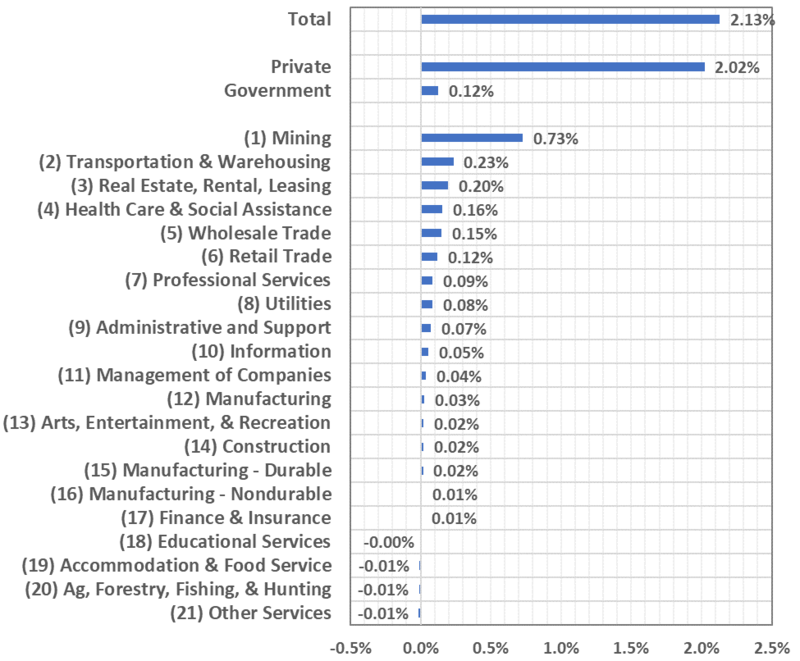 The mining sector far outpaced the contribution of all other major sectors, exceeding the contribution of the second-place Transportation and Warehousing (0.23% annually) sector by a factor of three. Four major sectors acted as a slight drag on real GDP growth across the period. We can go a bit further back in time using annual GDP data rather than quarterly, but the results are nearly identical. From 1997 to 2017, total state real GDP growth averaged 2.4% annually, with the contribution of the mining sector averaging 0.79% annually in the period. Again, about one-third of total state real GDP growth is traced to the state’s mining sector the past two decades. 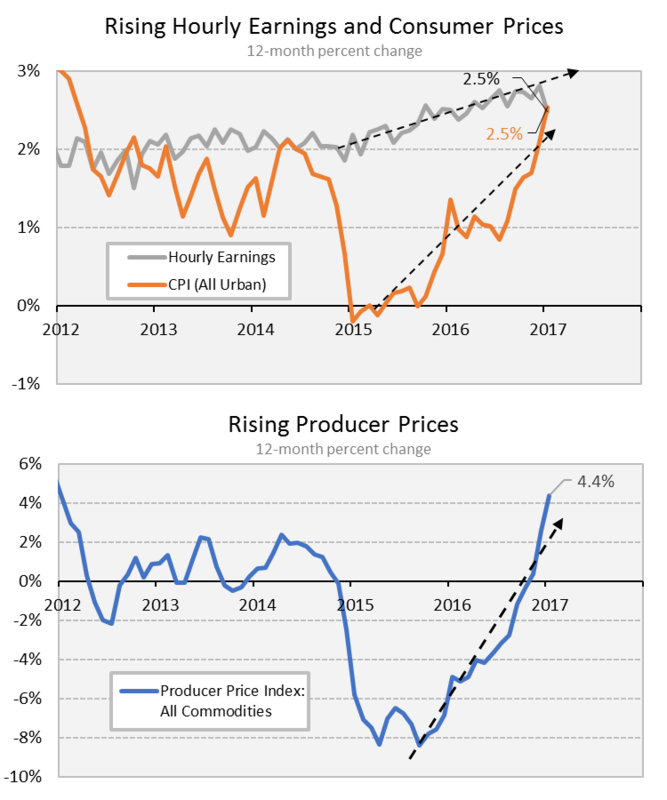 The influence of the oil and gas industry is likely to be well above average for the remainder of 2018. 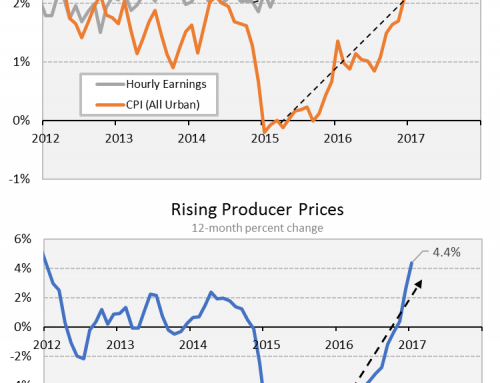 The ongoing strength in oil prices and the resulting rebound in industry activity in 2018 is driving much of the ongoing acceleration of economic activity in the state. 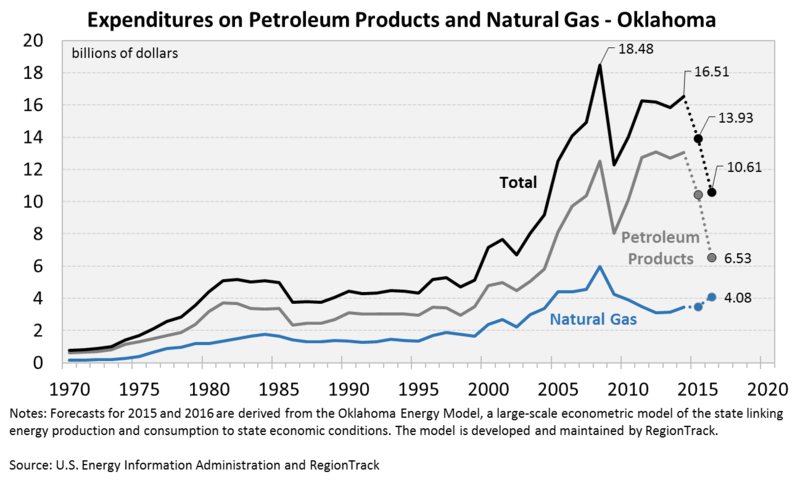 * In Oklahoma, the oil and gas sector comprises more than 99% of NAICS mining sector activity.